An ancient prophecy proclaims… One day, the mighty dragons will seek new territory to claim as their own! The day has come! The prophecy has been fulfilled! Now, only the most courageous and just of leaders will be able forge a friendship between mankind and dragons! Step into the role of the steadfast and altruistic leader who's quests is to ensure the safety and prosperity of all people and creatures in the kingdom! In Kingdom Tales you will explore the land, gather, produce and trade resources, build and repair subjects’ homes and community structures, and work to increase your subjects’ level of happiness! Along your journey, you will meet druids, forest fairies, trolls, dragons and other exciting creatures while racing against the clock to complete tasks in this gorgeous and fun time management / strategy game!. 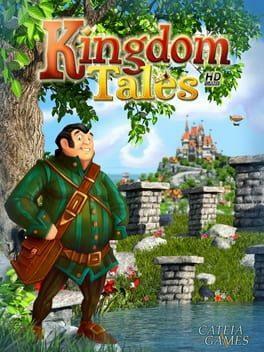 Kingdom Tales is available from 1.19 to 8.99 from 3 shops.